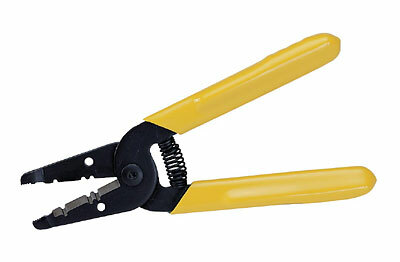 Designed to remove jacket from 3 mm simplex or duplex (zip cord) fiber optic cable. Form-ground knife-type stripping blades allow for accurate easy stripping without damaging Kevlar sterength member. Contoured non-slip comfort-grip handles reduce operator fatigue.